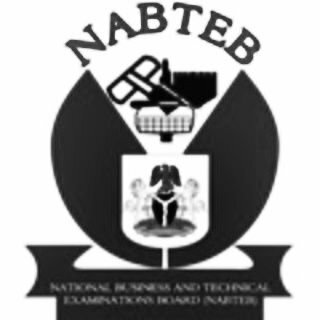 FREE DOWNLOAD: The National Business and Technical Examinations Board (NABTEB) Geography Syllabus Now Available for Download in PDF Online. The National Business and Technical Examinations Board (NABTEB) has uploaded the Geography Syllabus for prospective students. This syllabus has been designed from Nigerian Educational Research and Development Council (NERDC) for senior certificate categories. It is geared towards the achievement of the Millenium Development Goals(MDGs) and the critical elements of the National Empowerment and Development Strategies (NEEDS)of the Federal Government. Basically, Geography addresses issues that have to do with man and his socio-cultural and physical environment; its ability to help to circumvent the fundamental matters of environmental possibilism, determinism and probabilism. This syllabus is therefore designed to test the candidates’ achievement of underlining course objectives. • 196-1 paper 1: (Objectives and theory), 130 marks (3 Hours). • 196-2paper2:(Practical Alternative and Physical Geography),100marks (2 hours). Paper 1: This consists of two sections Section A and Section B.
in one (1) hour for 50 marks. • Section B:This comprises eight (8) Essay questions in Human and Economic Geography, and Regional Geography. Candidates are to answer four (4) questions only. Two (2) questions in Human and Economic Geography, and two (2) questions in Regional Geography. Each of the Essay Questions carries 20 marks each for a total of 80 marks in a duration of two (2) hours. Therefore, Section A is 50 marks, and Section B is 80 marks, totalling 130 marks. Paper 2: This also consists of two (2) sections: Section A and section B. • Section A: This consists of practical in Map Reading to be answered by candidates in One (1) hour for 40marks. • Section B: This comprises six(6) Essay questions in Physical Geography. Three questions are to be answered by candidates in one (1) hour at 20 marks each for a total of 60marks. Section A is 40 marks, and section B is 60 marks, with a total of 100 marks. Therefore, paper 1 is 30 marks, and paper 2 is 100 marks with a grand total of 230 marks.